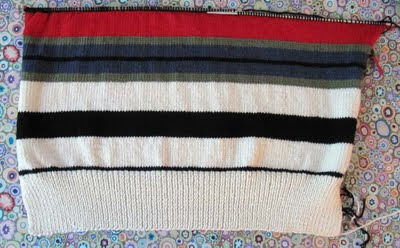 The Paul Smith Cardigan is the project I chose to work on during my move. Luckily, I have other projects chosen as well as this one is progressing so quickly. I think that elves must be sneaking in while I'm packing or sleeping and working a few rows. What you see is barely three days of knitting when I could find time. I have another inch or two to go before I start the armhole shaping. I'm following this pattern as written. 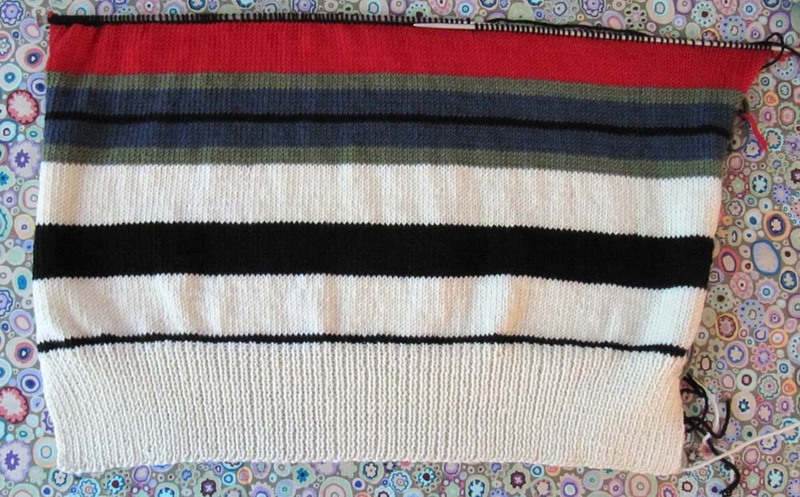 I taking a chance here as I've never seen a proper picture of the finished sweater, only a sketch. Normally I would never knit a bottom band with 3-inches of ribbing, but hey, why not mix up my sweater knitting a bit? I'm trying it. I might like it. Time will tell. The yarn, Debbie Bliss Rialto 4-ply is wonderful to work with. If I still like it as much by the time I finish this cardigan I might have to use it again. wow, it looks machine knit -- great job so far!